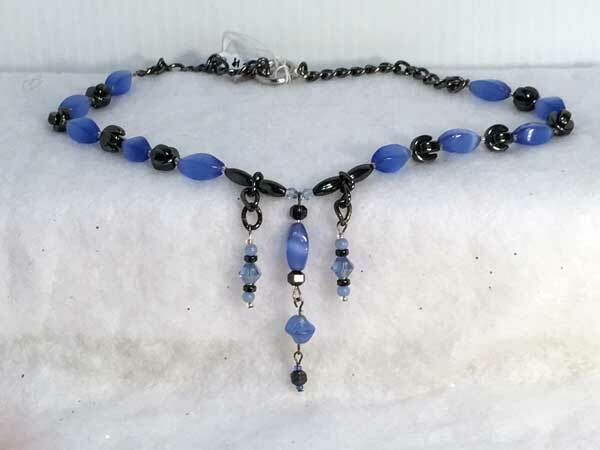 This beautiful piece measures about 20 inches clasp to clasp with additional dangles in the front, the longest measuring 2.5 inches. This is a heavy piece with interlocking hemalyke beads and other hemalyke shapes complimenting lovely periwinkle 4-sided glass ovals. Addtitional blue bicones and seeds finish off the design, with a silver toggle clasp.